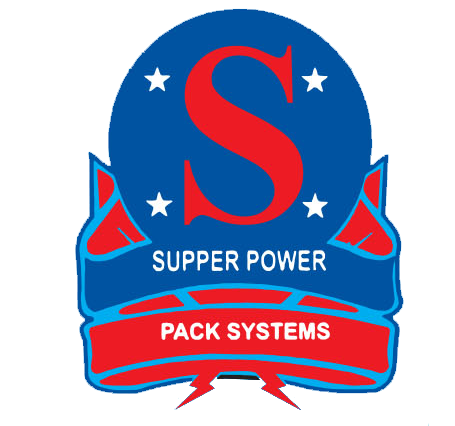 WE REFER TO YOUR INQUIRY ABOUT THE FREE FLOW SALT PACKAGING MACHINE IN CENTER SEAL POUCHES. 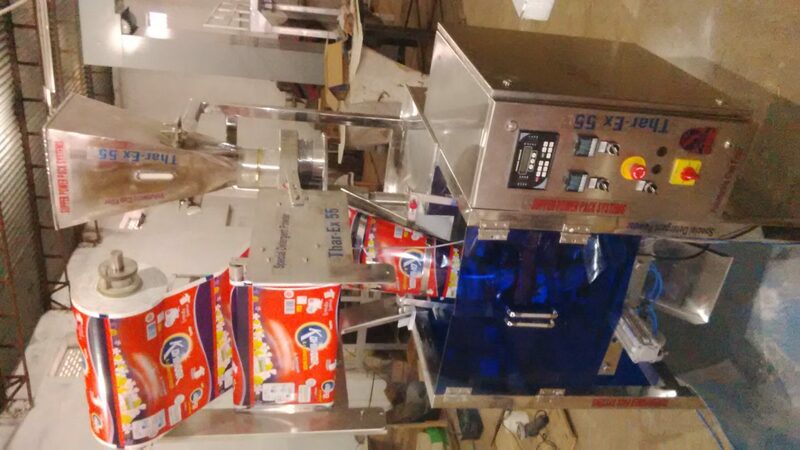 WE PLEASED TO SUBMIT OUR BEST OFFER AS DISCUSSED FOR THE VERTICAL FORM FILL SEAL MACHINE MODEL: Astra-90-VF(VOLUMETRIC BASED). ü TABLE DRAW DOWN MACHINE (W/O PULLING BELTS). ü Operational control of VFFS Bagger thru PLC controller, MITSUBISH- JAPAN. ü MOC: SS304 AND ALL CONTACT PARTS ARE FROM SS316L. ü VFD BASED motorized paper Pulling, PNEUMATIC (SMC, Japan) BASED Sealing. ü Temperature adjustment through PID CONTROLLERS – Omron, japan. ü Built in Print Mark registration Device, DATALOGIC,-ITALY. ü MAX. ROLL WIDTH 420 mm. ü AIR REQUIREMENT 300 LIT/MIN. AT THE PRESSURE OF 6KG/CM2. ü OPTIONAL ATTACHMENT: BATCH CODING DEVICE, NITROGEN GAS FLUSH, PERFORATION SYSTEM AND INFEED BUCKET ELEVATOR. 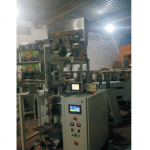 The machine requires 5HP, 415V, 50 Hz , 3 Phase, 4 Wire electrical supply and the same is to be made available through 2.5 sq. mm. 4 core armoured copper cable through 25 A TPN switch fuse unit. 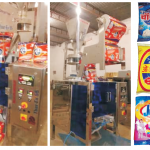 The sufficient quantity of product and packaging film rolls are to be made available for pre-dispatch acceptance trials of the machine ON FREIGHT PAID Basis. 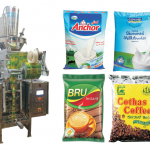 The product feeding to the hopper of to achieve consistent output & accuracy will be in the scope of buyer. the required labour, tools and tackles available. 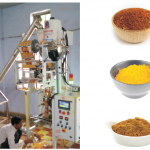 WE NEED SAMPLE PRODUCT & PACKAGING MATERIAL PRIOR TO MACHINE DISPATCH FOR MACHINE TRIAL AND TESTING.